FAQ: Is there a difference between a will and trust in Orange County, California? What Are the Differences Between a Will and a Trust in California? In California, there are several ways to legally pass down your property to you chosen heir or beneficiary. Wills and trusts are two of the ways that a person can do this. Even though they effectively do the same thing, a will, and a trust are two very different ways to ensure that your wishes regarding your property are followed even after you’re gone. So, what are the differences between wills and trusts? Depending on your needs, one may be a better option than the other, or, you may choose to use both when creating your estate plan. 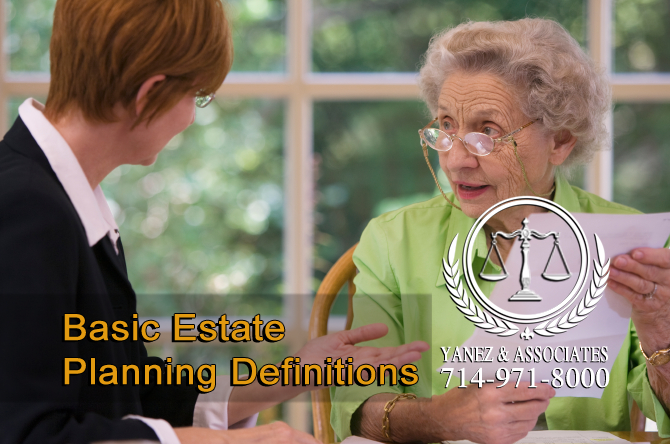 What are the Basic Estate Planning Definitions? Before we jump into the differences between a will and a trust, we’re going to go over some estate planning terms that you are likely to come across in your research. Probate - A process where a will is validated, and property is distributed either according to a valid will or if no valid will exists, according to California state law. Intestate - A situation that occurs when a person dies without having a valid will in place. In this case, California law determines how to distribute a person’s property. Executor - A person who is named in a will, whose job it is to ensure that the terms of a will are followed and to handle the deceased’s estate according to the will. Beneficiary - A person who is to receive property, either from a trust or an estate. A beneficiary may also be an heir, but they are not always the same. Heir - A person who is entitled to inherit property because of state law, usually in the absence of a will. An heir may also be a beneficiary, but they are not always the same. Testator - The person who signs the will. Last Will and Testament - A document created by, or with the approval of, the testator. The document names beneficiaries who will inherit the property named in the document according to the terms of the document. A will also names an executor. Living Will - A living will is a document that explains how you wish to be medically treated in specific situations. It is legally binding, and can be used in situations where a person is unable to make decisions for him or herself. 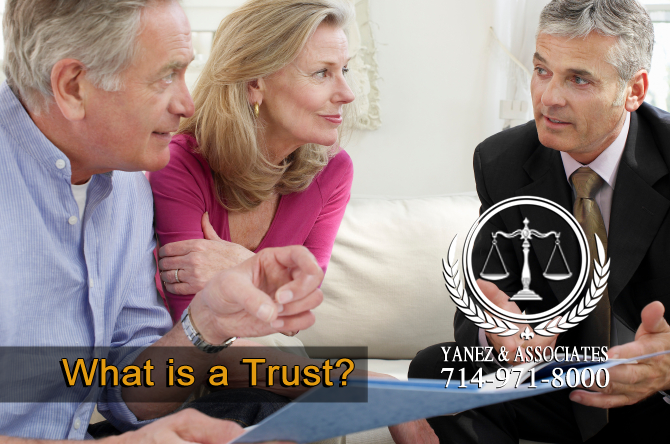 Trust - A situation in which a person legally entrusts certain property or assets to a trustee for a period of time. The property in the trust will be managed by the trustee on behalf of the beneficiary, who owns the property in the trust, and will have access to it when he or she is in a specific situation that has been stipulated in the terms of the trust. Living Trust - A living trust is created while a person is still alive, and although the property is placed in a trust, a living trust is usually revocable, meaning that the original owner may choose to take back his or her property instead of leaving it in the trust. There are several different kinds of wills. As you can see above, some wills deal with property while others deal with a person’s health and wellbeing. When comparing a will to a trust, one is generally referring to a last will and testament, which deals with a person’s property. Many people have heard of a will, or a last will and testament, in the media. It is a document that states how a person would like his or her property and assets distributed after the person dies, and who will inherit the property and assets. It also names an executor for the estate, which is responsible for ensuring that property and assets are distributed according to the terms of the will. A will also allows parents to appoint a guardian for minor children. A will can, and should, be revised and updated throughout a person’s lifetime. Events like marriages, divorces, births, adoptions, and deaths can all lead to changes in a person’s will. All wills must go through probate. 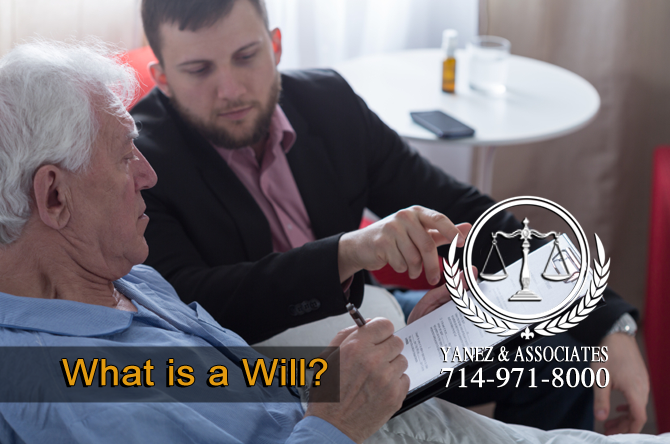 If it is found that a will is invalid, the person’s property and assets will be distributed according to California’s intestacy laws, which may not distribute property according to the person’s wishes. In this case, an heir will inherit property and assets instead of a beneficiary. In order to ensure that your property is distributed according to your wishes, you should work with an estate planning lawyer when creating your will. While the cost of creating a will is generally low, and the process is simpler than other options, the cost of probate can be extremely high, especially if there are errors in the will. Once a will enters the probate process, it is considered a public document. Your attorney can help you understand the tax benefits and consequences of using a will to distribute your property. A will can only go into effect after a person’s death. If you wish to distribute your property and assets after your death, a will allows you to do so. A will does not allow you transfer any property or assets in the case that you are incapacitated but still living. Sometimes, certain assets and property don’t need to be distributed during a person’s lifetime, and a will is all that you need. A will is generally easier and less expensive to set up than a trust initially, so if funding is a concern, a will may be a better option. What will a trust allow me to do? A trust allows a person to transfer property or assets into a trust while they are still living. The trust will have a beneficiary, or a person who will own the property in the trust at a specified time or when a specific situation occurs. The property in the trust is managed by a trustee on behalf of the beneficiary until such a time occurs. Because the person who created the trust is alive when the property is transferred into the trust, a trust does not have to go through the probate process to be verified. Avoiding the probate process allows a trust, and the terms of the trust, to be kept private and confidential instead of being a part of public record. Avoiding probate can also mean that using a trust allows you to avoid the fees that come with the probate process. However, setting up a trust correctly in the first place and maintaining it can be more costly than other options, like creating a will. A trust also allows you to place your property under the care of a trustee while you are still living. This means that you can have another person managing specific property or assets if you become incapacitated. It is possible to set up a trust without transferring anything into it - in which case the trust is useless. It is necessary to transfer property or assets into the trust in order for it to be effective. When Should I Have a Trust? If you are concerned about transferring property or assets to a beneficiary now, or during your lifetime, a trust may be a good option. This is especially important in the case that you become incapacitated before you die. If your beneficiary has financial concerns, or if you want your beneficiary to avoid the stress and expense of probate, but you can afford the cost of setting up a trust up front, it may be a good option for you. If privacy is a concern for you, and you do not wish for the terms of your estate plan to be public record, a trust fund allows you to maintain your privacy. Can I Use Both a Will and a Trust? 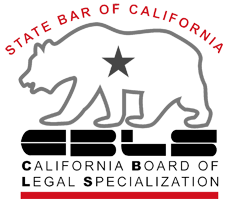 I live in California and need to know if I can use Both a Will and a Trust in my Orange County estate plan? It is possible to use both a will and a trust, or multiple trusts, in your California estate plan. This allows you to get the benefits of both documents - you can name an executor and a guardian for minor children in your will, but you can also pass your property and assets to your beneficiaries without going through probate with your trust. Ultimately, both wills and trusts allow you to transfer your property and assets to beneficiaries if they are created correctly. However, depending on whether you have children, grandchildren, or minor children, the size of your estate, how willing and likely you are to manage your estate plan, and other factors, one may be a better option than the other. Remember that neither document is helpful in any way unless it is created according to the law. If you are ready to create a will or a trust, or if you have questions about how either one could fit into your life, you should contact a professional to discuss your situation. 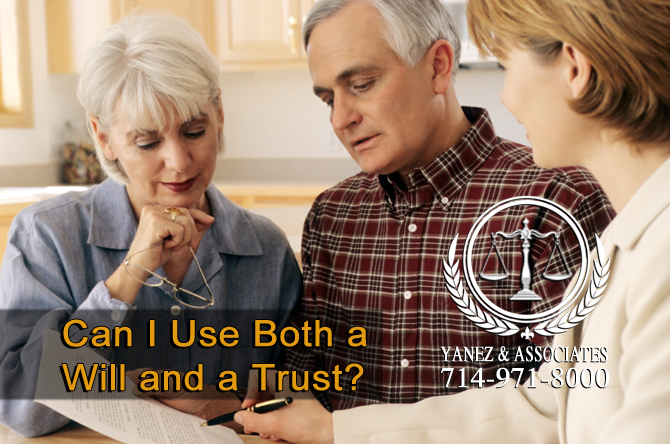 Contact the lawyers at Yanez & Associates today to schedule your free initial consultation. 1 What Are the Differences Between a Will and a Trust in California? 3 What is a Will? 3.1 When Should I Have a Will? 4 What is a Trust? 4.1 When Should I Have a Trust? 5 Can I Use Both a Will and a Trust?